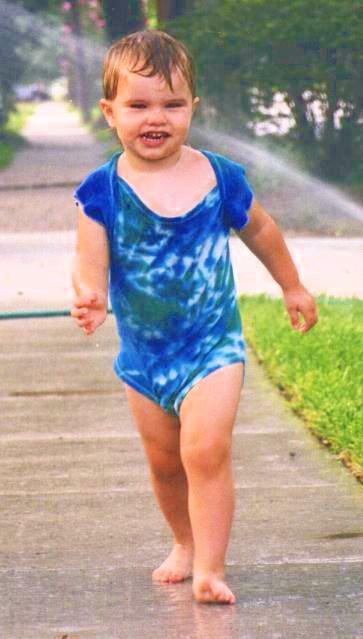 Here's Peter, aged two, running through a neighbor's lawn sprinkler, wearing a tie-dyed size extra-large snap-crotch baby shirt. To see the full-size image, with much more detail, click on the small image! See How to Tie Dye. Page created: September 5, 1998.